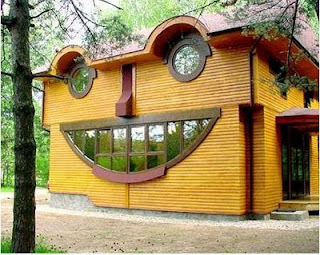 At least the architect or owner has a sense of humor. They have even managed to create a nose to go with the smiling and eye windows. Its a happy house with a lot of laughs.